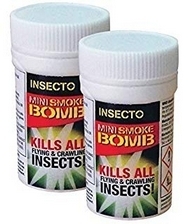 Carpet Moth Smoke Bombs x 2 to give a fumigation treatment to kill and get rid of carpet moths. 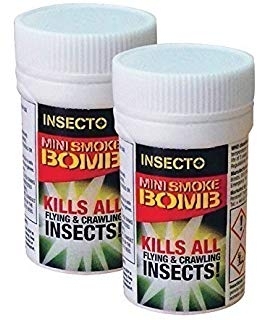 These fogging smokes are effective to use in any room that is affected with carpet moths as it flushes out and kills these insect pests from all their hiding places in nooks and crannies. 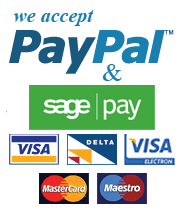 Also use this product to fumigate the loft / attic area where these insects are often found living and breeding in the insulation material. 2 x Carpet Moth Smoke Bombs will treat an area up to 120 cubic metres or 4200 cubic feet. 1 x Smoke Bomb will treat a room sized 4m x 3m / 12 feet x 9 feet. 2 x Smoke Bombs will treat a room sized 6m x 4m / 18 feet x 12 feet. This product is a professional standard carpet moth killer fogging smoke cleared for diy use.